They passed in the blink of an eye and I remember them as if it were yesterday when we set-up the first Princess Roulette at the London ICE Show in 1997. Since then Interblock grew into the most recognized brand in the world and took over the lead role within the Electronic Table Games Segment of our Industry. The mission to make the best equipment in the world was achieved thorough the dedication of our team; thus making our company a leader within the category of ETGs. 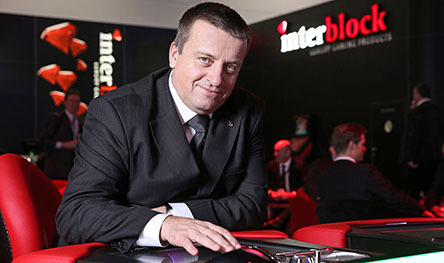 Interblock now sets its sights on the future. The quality and innovation that has become synonymous with our company’s Luxury brand, can now being expanded into the Global Gaming Market. This is the logical path for the future of Interblock as the only private company with an established gaming infrastructure all over the world and over 200 gaming licenses. Interblock currently has created a foundation to compete with the largest gaming suppliers in the industry, yet focused on a single area of the sector, to enable market leading technology and innovation. We will leverage our infrastructure over the coming years to bring together smaller companies that wish to enter the gaming market. There are many tasks yet to be completed in this process and evolving our company to be ready for such growth is a never ending process. Currently, we are working on strategic plans to take Interblock to the next level by the end of 2020, across all areas of our organization. We will begin to evaluate small companies close to our core competency from all over the globe. We are happy to see that operators see Interblock as a leading ETG supplier and will work hard to maintain this position in the years to come. Technology, service, innovation and the building a world class team will continue earn the trust of our partners/customers around the world. While other low-end suppliers continue to follow, We will lead and innovate – not copy the competition.